Most vacationers are just looking to get away from it all, but in a place like the Grand Canyon; with some 6.2 million visitors last year, that can be increasingly hard. Making lasting memorable experiences are tough when you have to compete to get to the park, to find parking, to get reservations; and in a place that’s grown in visitation for the last 5 years, that doesn’t look to change anytime soon. 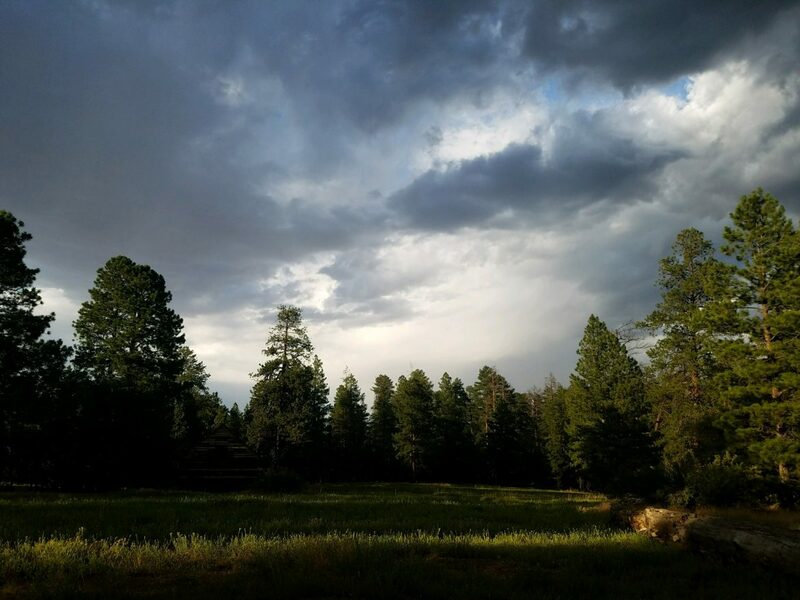 For those willing to take a step away from the hub bub, and drive down a short dirt forest road, they’ll find a serene cabin miles from the nearest big hotel, hordes of visitors, and only minutes from the Grand Canyon’s Rim in a historic setting. Hull Cabin was constructed in the 1880’s from rough hand-hewn logs. 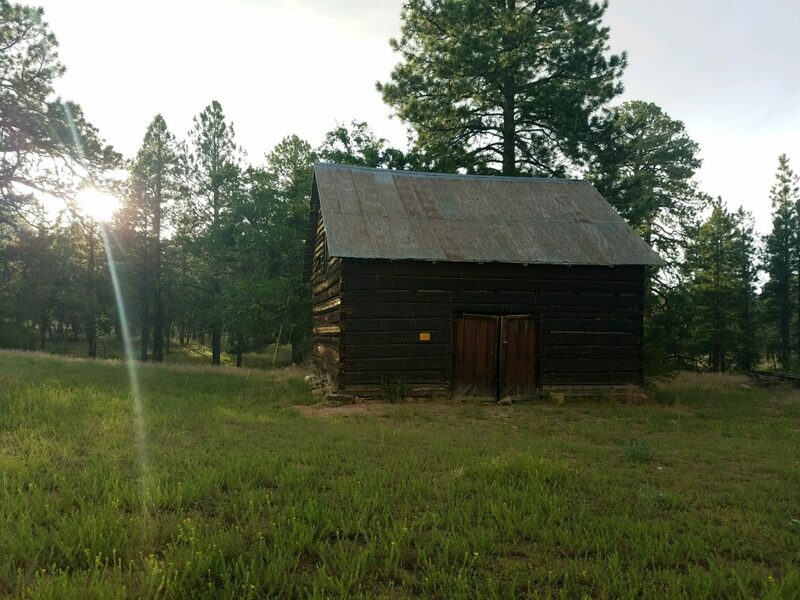 After serving as a family house for the Hulls, the National Forest Service used it as a ranger station in the early 1900’s. 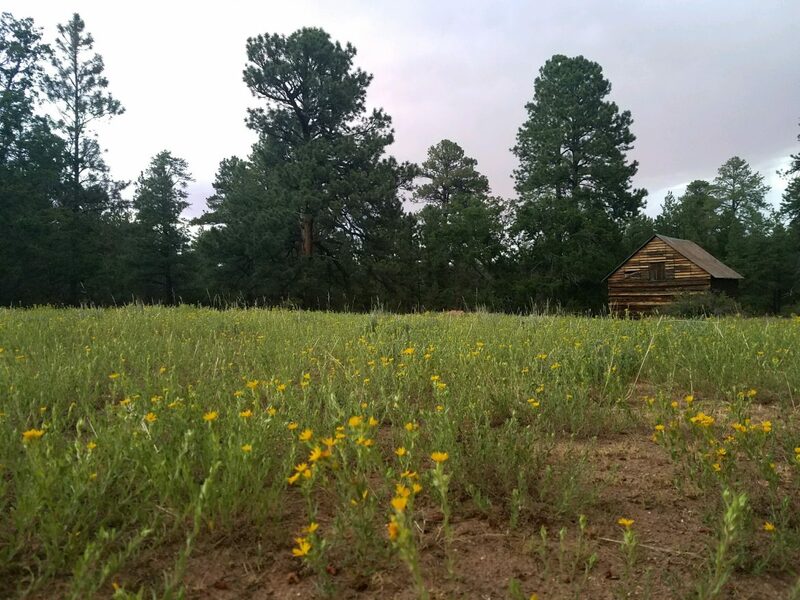 Placed within a lovely meadow, there is plenty of room to roam, and set up camps for large groups to camp around the cabin itself. The interior has a bunkroom in the back with two bunk beds. A barn is also located at the other end of the meadow, and makes for great storage; for said larger groups. As if it needed to be said, the cabin is located in the woods, provided miles of room to explore and recreate. There is even a working fire lookout tower around the bend; Grand View Lookout Tower. 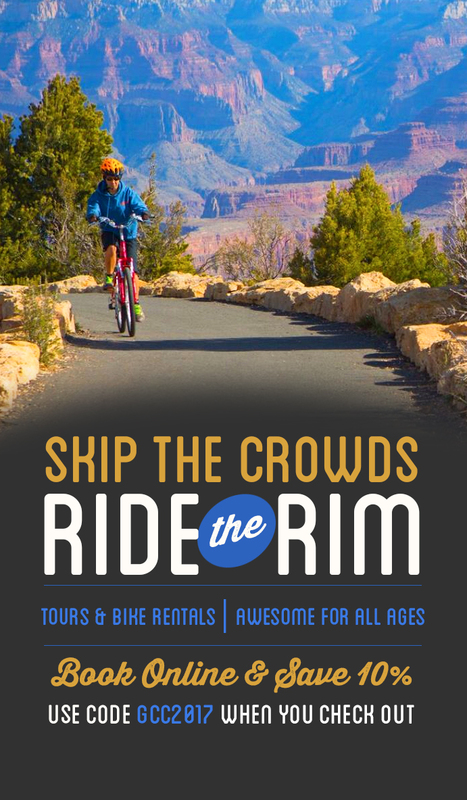 Bookings are only available during the shoulder seasons, and summer; as the South Rim can get about 5 feet of snow in the winter. To book, you have to reserve on the government’s recreation website: here!